Eurostars Hotel Company, the hotel division of Grupo Hotusa, has arrived in Panama with the launch of Eurostars Panamá City 5*. The iconic building, which up until now had been run as the Hotel & Casino Royal Sonesta, will become the fourteenth premises operated by the company in Latin America. Of the other projects run by the group in the region, the most notable is the Eurostars Torre Bacatá 5* in the Colombian capital Bogota. 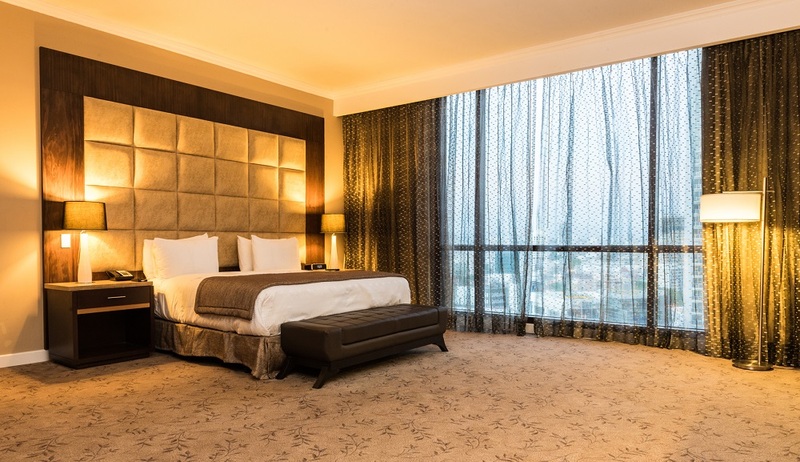 Eurostars Panamá City 5* occupies a modern, 27-storey building with 300 rooms, over 900m2 of space for holding all kinds of professional meetings and events, in addition to a restaurant on the 26th floor with spectacular panoramic views over the old town of the Panama capital. The top floor of the hotel has a swimming pool and sun terrace. With this new addition, the hotel department of Grupo Hotusa now has 14 establishments running in Latin America through the two chains Eurostars Hotels and exe Hotels: in addition to the Panamanian hotel there are also 6 establishments in Argentina, 2 in Colombia and 5 in Mexico. The Eurostars Hotel Company is also concluding deals in Ecuador and Mexico, which are expected to be finalised soon. The company’s expansion in Latin America will have reached a new goal at the start of 2017, with the opening of the Eurostars Torre Bacatá 5* in Bogotá, the tallest hotel on the continent, and soon to become a reference point. With the opening scheduled for the beginning of 2016, the Eurostars Torre Bacatá 5* will offer a total of 323 rooms, including 19 suites, with over 3,000m2 of space for events and conferences distributed over a total of 16 meeting rooms. The hotel will also have a spa & wellness area covering 550 m2 , and 2 restaurants and two lounge bars distributed over 800 m2 of space. The future Eurostars Torre Bacatá 5* will be the third establishment in Bogotá managed by the company, alongside exe Bacatá 95 4* and exe Santafé Boutique Hotel 5*. The Torre BD Bacatá, which will house the Eurostars Torre Bacatá 5*, is a building complex owned by BD Bacatá and that was designed by the prestigious Catalan architecture studio Alonso-Balaguer y Arguitectos Asociados. The complex consists of two towers, and the one that will house the hotel will be the tallest in Colombia, covering over 114,384 m2 of floor space. Aside from the hotel, the tower will also have 396 apartments, 117 offices, over 700 parking spaces and a shopping centre with 30 premises.